Ozone levels as low as 20 ppb negatively affect microarray results (1). The most reliable way to measure ozone at these low levels is to use an ozone analyzer that employs the UV photometric method of measurement. However, high performance ozone analyzers that measure in the ppb range are expensive. Also, only periodic measurements of ozone levels in the lab or within a NoZone Enclosure are normally needed. AlphaMetrix has an affordable solution. 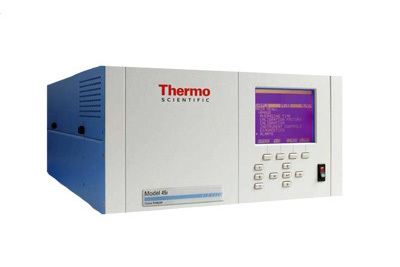 Instead of purchasing an instrument that is used infrequently, AlphaMetrix offers to laboratories the ability to get a service for monitoring the ozone concentration with the 49i Ozone Analyzer (Thermo Electron). This model is approved for use by the FDA for continuous monitoring of ambient levels of ozone in the low ppb range. It is perfectly suited for accurately measuring ozone levels in the lab and validating the performance of SciGene NoZone Workspaces. SciGene recommends that the ozone levels of the NoZone Workspace be measured during initial set up of the NoZone Workspace and then annually when seasonal levels of ozone are high, to ensure the ozone scrubber is working properly and that the enclosure remains well sealed. The Ozone Analyzer can be rented on these occasions to measure ozone levels in both the lab and NoZone enclosure as ozone levels. The ozone analyzer is calibrated from the factory to give accurate ozone levels without further adjustment. Ozone data with date and time will be streamed to a computer via an Ethernet connection. A final qualification documentation is delivered.